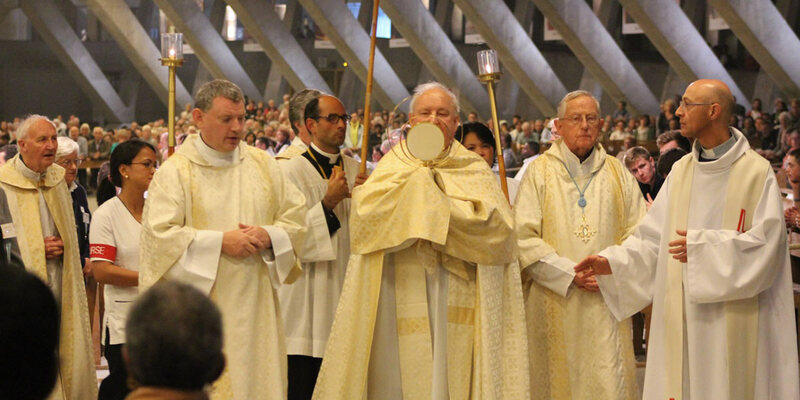 The Missionary Oblates have been organising Pilgrimages to Lourdes since 1883. We call the «Message of Lourdes» the gestures and words that were exchanged between Virgin Mary and Bernadette Soubirous, at the Grotto of Massabielle, during the time of the eighteen apparitions. This message can be heard as: God is love and he loves us as we are. The fact that Mary had appeared in a dirty and obscure Grotto, in the place called Massabielle, the Old Rock, tells us that God comes to join us where we are, in the midst of our poverty, in our failures as well as in our successes. The Grotto is not only a place where something happened – a geographical place – it is also a place where God gives us a sign by revealing his heart and our heart. It is a place where God leaves us a message, a message that is nothing other than that of the Gospel. 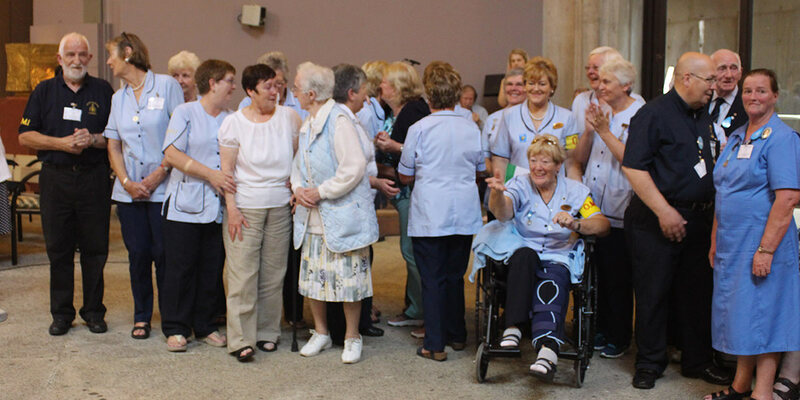 God comes to tell us that he loves us – this is the heart of the Message of Lourdes, and he loves us as we are with all our successes but also with all our wounds, our weaknesses and our limitations. 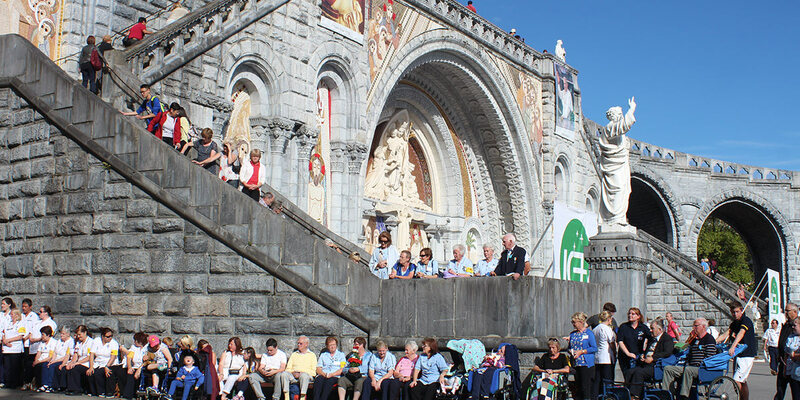 The Missionary Oblates were the first group to organise pilgrimages to Lourdes from Britain and Ireland and have been organising pilgrimages to Lourdes since 1883. Every year pilgrims join us from Ireland, Britain and the Channel Islands. 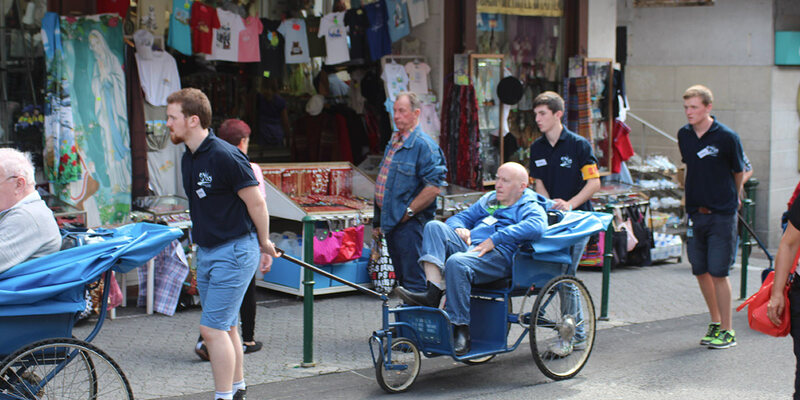 Some 100 Assisted Pilgrims, who require a special level of care and comfort, accompany the other pilgrims and stay in the Accueil Notre Dame. 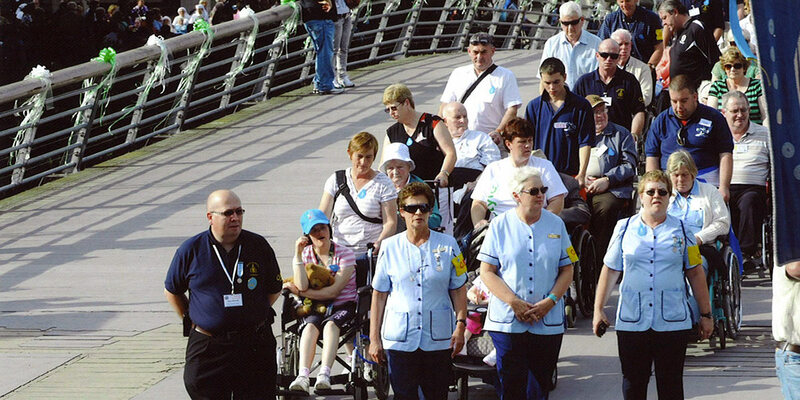 In coming to Lourdes, we follow in the footsteps of many thousands of pilgrims from all over the world who have come here before us, carrying with them – as we do – their hopes, burdens and dreams.